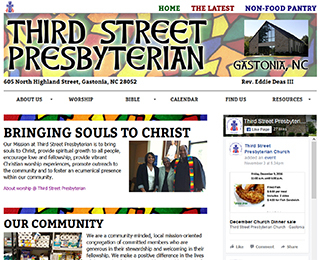 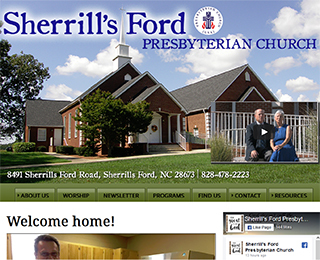 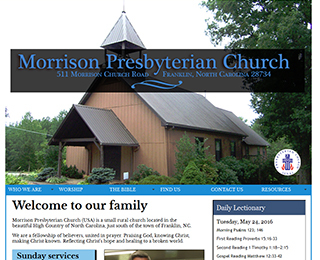 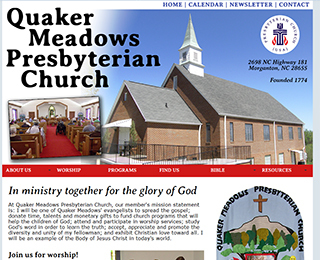 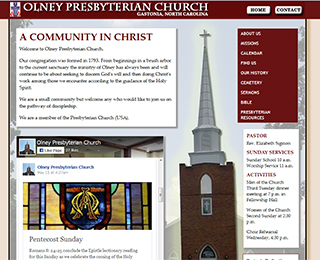 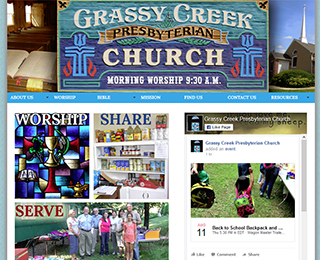 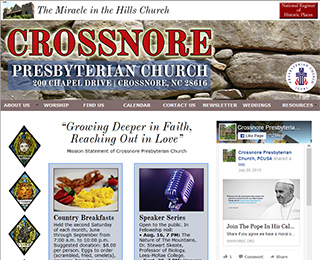 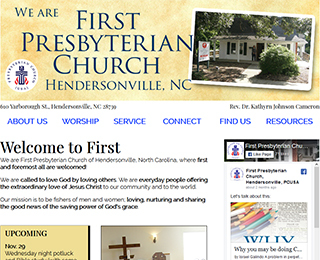 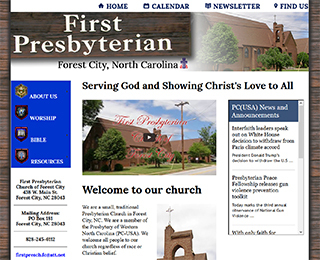 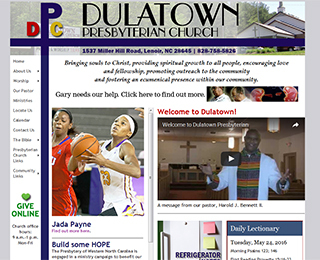 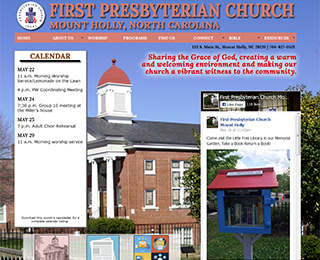 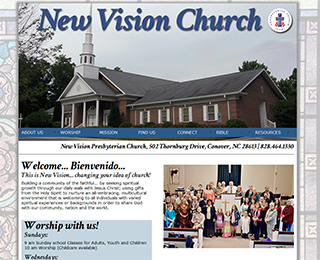 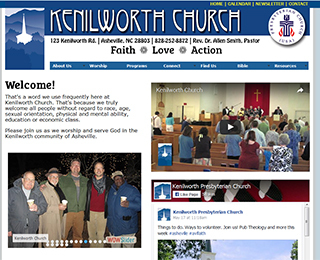 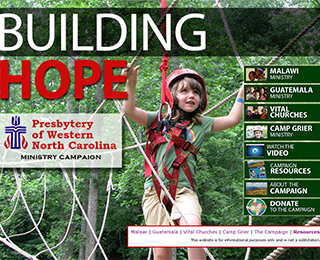 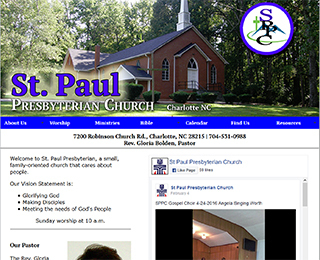 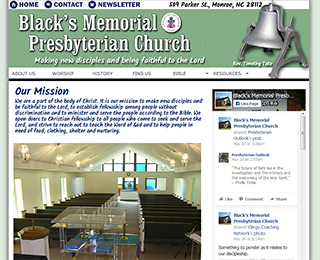 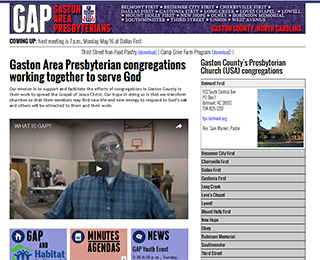 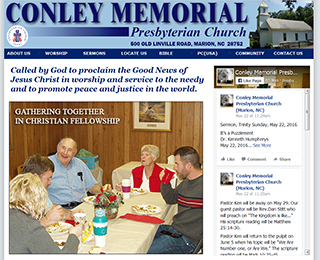 In cooperation with the Presbytery of Western North Carolina, we offer this low-cost and hassle-free service to smaller churches that might not have the knowledge of how to build and maintain its own website, but know one is desperately needed. 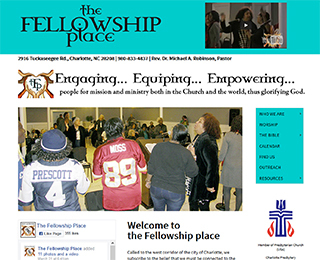 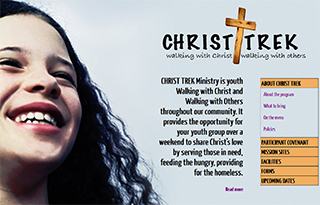 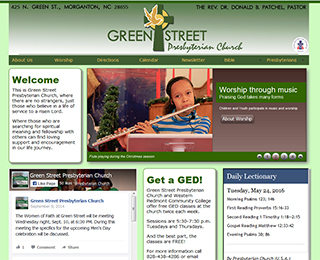 Churches without websites have a far slimmer chance of being visited in person by inquiring people in your community. 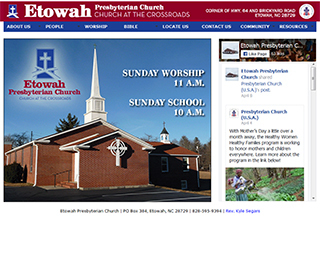 Click on the pages shown below to visit these websites.